Oatmeal reminds me of my friend Giovanni, who used to have it for breakfast every time we would go biking. 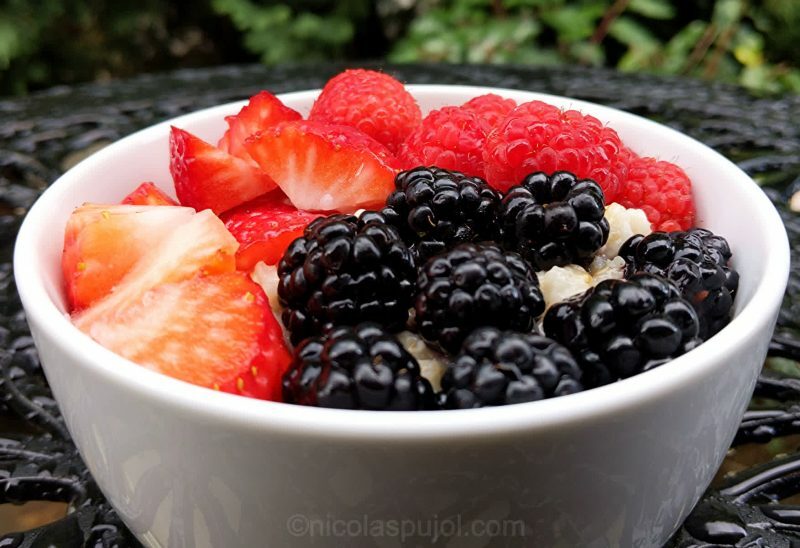 This complex carbohydrate is easy to digest, and combined with berries you get enough energy for a morning workout. It is part of my list of recipes for workouts. When I was a kid, my mother would make fruit salads and add lemon juice. She put no oatmeal on them, obviously. 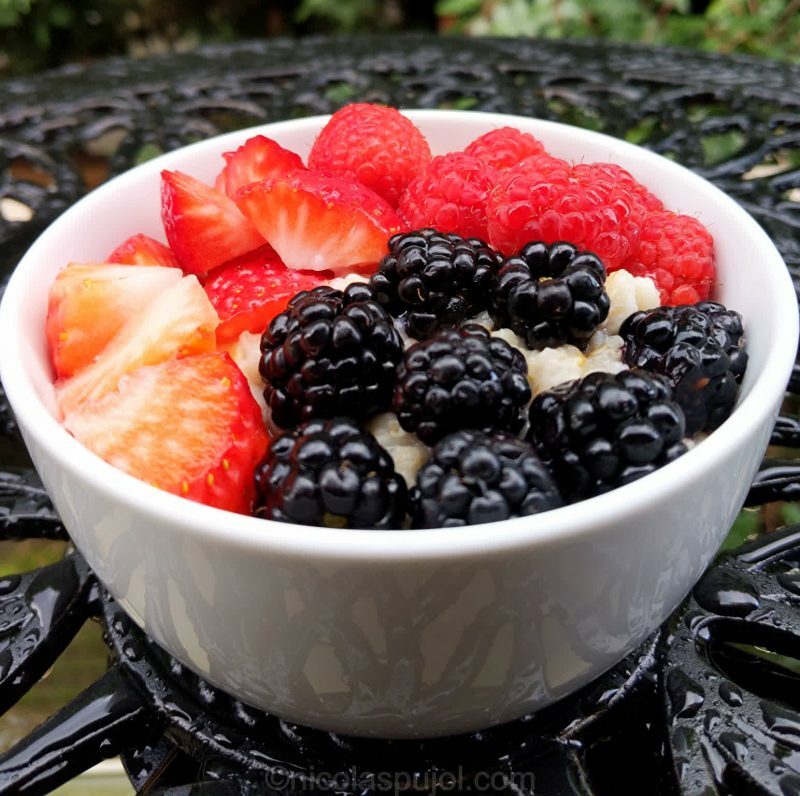 Yet, when I combined berries with lemon juice to this oatmeal, I got memories back from these times long gone. Now, I am the parent slicing berries for kids. 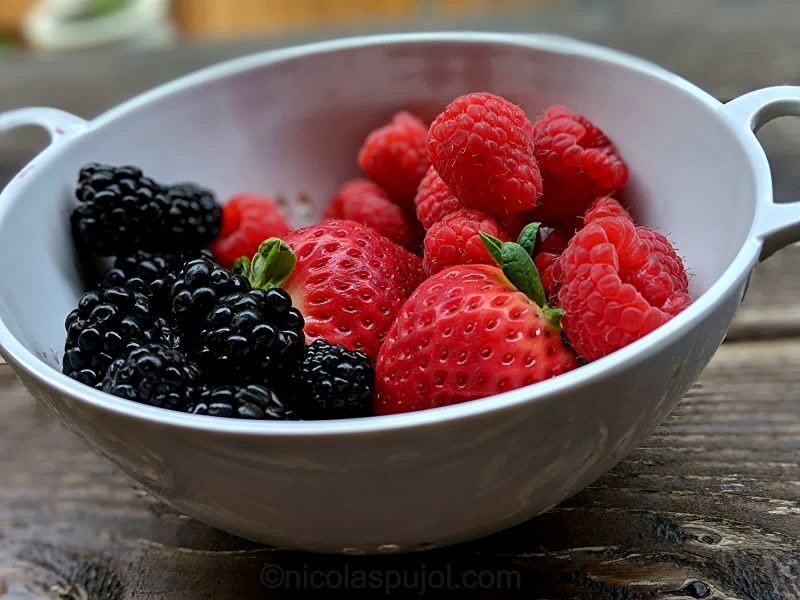 Using mixed fruits, by combining strawberries, raspberries and blueberries into one bowl makes for some variety. Together with oatmeal and lemon juice, all ingredients add up their respective anti-inflammatory nutrients, without the addition of milk, not even plant-based milk. 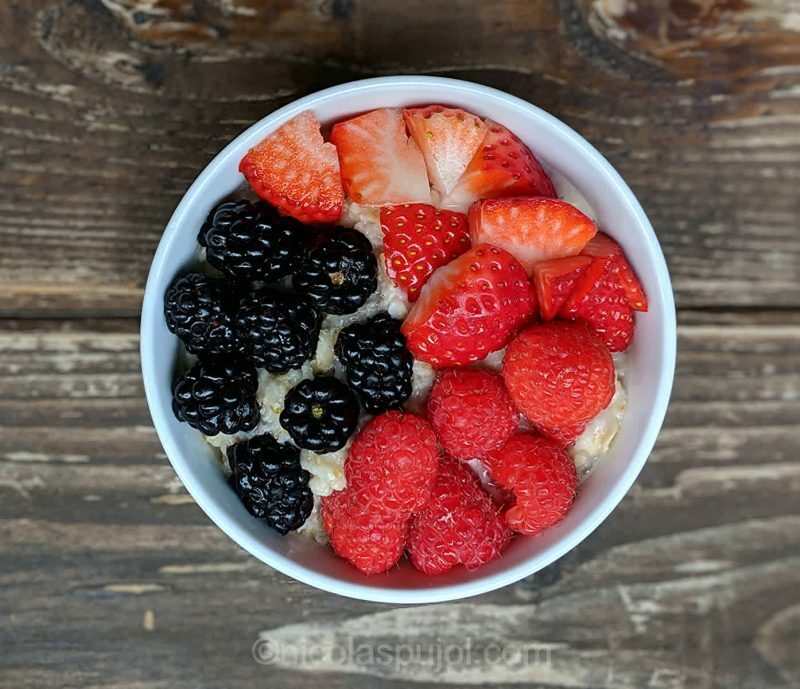 Kids love this breakfast bowl, sometimes with a small amount of extra sweetness by adding a teaspoon of maple syrup or honey. 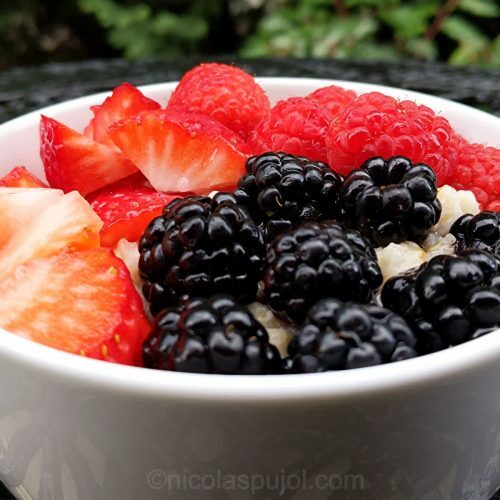 Enjoy this oatmeal and berries bowl in lemon juice! 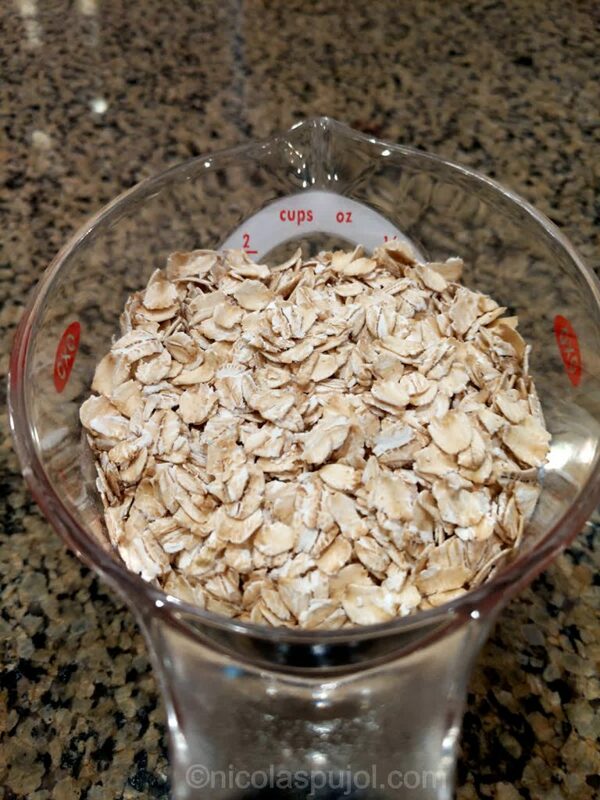 Bring the water and oatmeal to boil in a pan then simmer for 8-10 minutes, or the indicated cook time on your oatmeal pack. Rinse the mixed berries and cut the strawberries, removing the green parts. 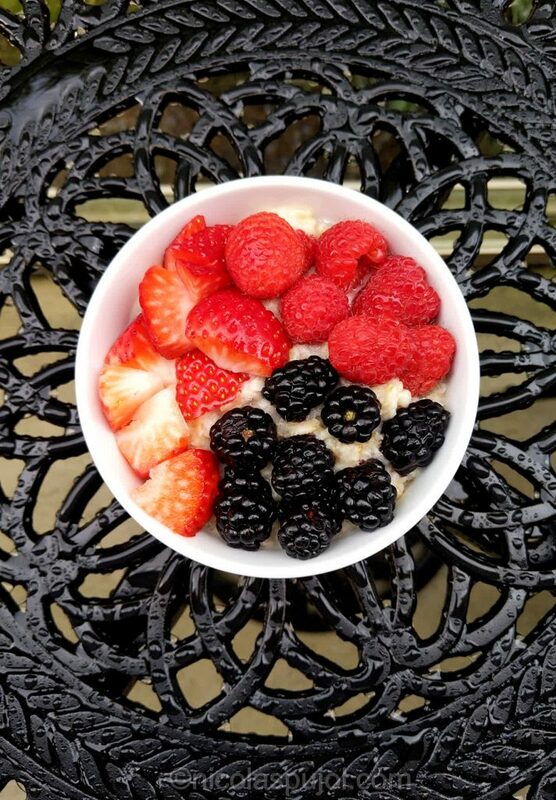 Squeeze the lemon, then in individual bowls divide the cooked oatmeal, then place the berries on top, dividing also the lemon juice.